Which Supplements Fit My Unique Needs? What Conditions Do We See? Does Lean & Trim Have To Be So Hard? As a health and wellness center we offer a wide variety of wellness therapies and techniques. 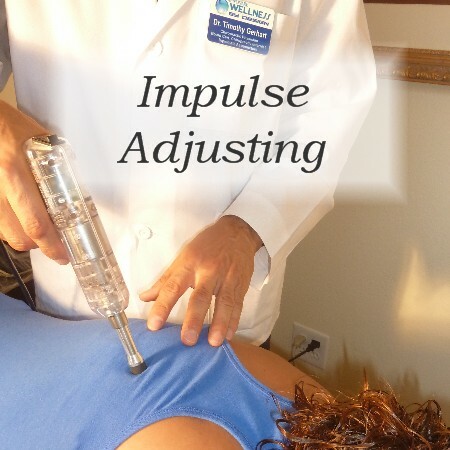 One of our wellness chiropractic techniques is the Impulse Adjusting Instrument™. The Impulse Adjusting Instrument™ is the product of advanced technology that assures that we are delivering the very best chiropractic adjustments to you to reduce chronic pain and increase wellness function. 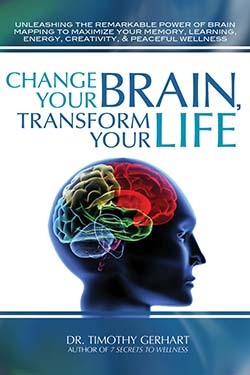 Normal joint movement and normal nerve receptor response is important for maximizing your wellness. The fast speed and the frequency of the the Impulse Adjusting Instrument™ increases your normal joint movement and helps restore your normal body frequencies through nerve stimulation. The Impulse Adjusting Instrument™ is a highly researched, patented and FDA registered chiropractic adjustment device that was created to deliver gentle and precise corrections to spinal joints and extremities (arms & legs) to reduce chronic pain and restore wellness function. The micro-computer circuitry of the Impulse Adjusting Instrument™ allows for a controlled force for the specific area being adjusted. No popping, cracking or twisting is needed for the Impulse Chiropractic Adjusting Instrument™. You can just relax on the table while receiving safe and effective chiropractic care no matter what your agg or condition is. Some of the conditions that have been known to benefit from the Impulse Adjusting Instrument™: back spasms, sciatic nerve pain, headaches, muscle spasms, leg pain, fatigue, stiff neck and hip pain. If you are fearful of chiropractic twisting and cracking this is a great chiropractic adjusting technique for you! © 2019 Dr. Timothy C. Gerhart, Chiropractic Internist and Physician and Diplomate in Acupuncture (IAMA) - All Rights Reserved.